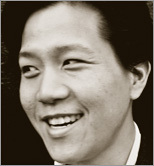 Henry Liu is an experienced software developer and game designer. He is currently a Senior Software Developer at MTV Networks. He maintains an Open Source Ruby project for collaborative filtering named slopeone-gem and is an active member of the New York City Ruby Users Group.